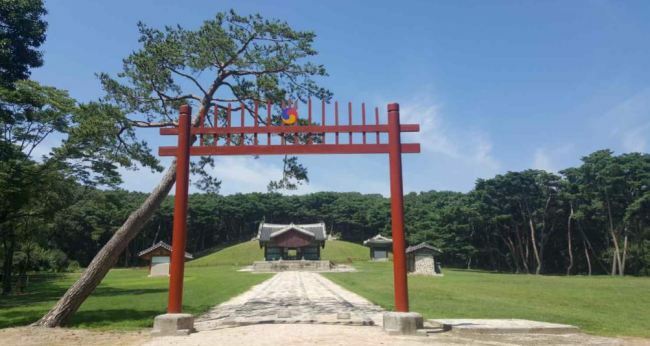 The final resting place of King Injo of Joseon -- who led a tumultuous life that included a revolt and two Chinese invasions -- and his queen will be open to the public starting next month, and is set to become a new tourist attraction in Paju, Gyeonggi Province. The Cultural Heritage Administration said Monday that it is opening Jangneung, where King Injo and Queen Inyeol are buried, to the public starting Sept. 4. Authorities had restricted visits to the royal tomb, designated a UNESCO World Heritage site in 2009, to protect it from damage. In 2016, the Cultural Heritage Administration opened it to the public on a trial basis. 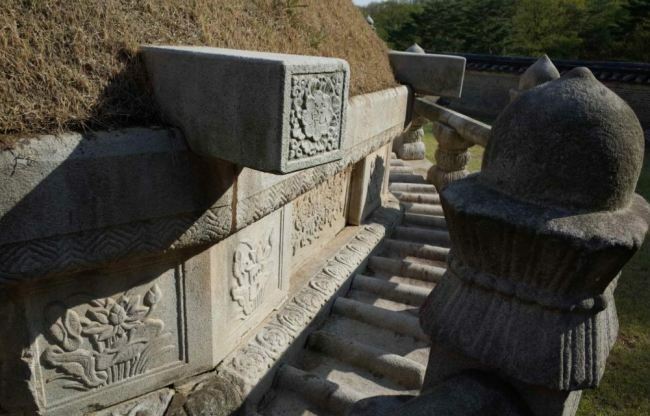 Of the 40 royal Joseon tombs recognized as UNESCO World Heritage sites, 38 are now open to visitors. The remaining two are expected to open to the public after 2019. The Cultural Heritage Administration said it has reached an agreement with the Ministry of National Defense on the relocation of the military facilities currently located inside the tomb compound, and that this will take place in the near future so that the royal tomb can return to its original state. Those wishing to visit Jangneung can do so from 9 a.m. to 6:30 p.m. from June through August, and from 9 a.m. to 5:30 p.m. from November through January. For the rest of the year, it is open until 6 p.m. Admission is 1,000 won for adults between the ages of 25 and 64. Other people can visit for free. Holding the remains of the 16th king of Joseon and his first wife, Jangneung was originally established in 1635 while both were still living. But the presence of scorpions and snakes forced its removal to its current location in Galhyeon-ri, Tanhyeon-myeon, Paju. It is not to be confused with the tomb of King Danjong, which goes by the same name. King Injo led a storied life. He was not originally in line to be the king as he was his predecessor’s nephew, and the crown is usually passed from father to son. But a power struggle surrounding the kingdom’s 15th ruler sparked a revolt that landed Injo on the throne. Injo soon faced a crisis of his own when the newly formed Qing Dynasty invaded Joseon during Injo’s rule. This is considered among the biggest humiliations in Joseon’s history, as it involved the king kneeling down before a foreign ruler and the princes being held hostage in China. The 2017 historical drama “The Fortress” depicts the days leading up to Joseon’s surrender. For more information about tours of Jangneung in Korean, English, Japanese or Chinese, visit http://royaltombs.cha.go.kr.